Storage Techniques | Compressor-Pump & Service, Inc.
After using your air compressor, it is important to store it properly, especially with winter coming. 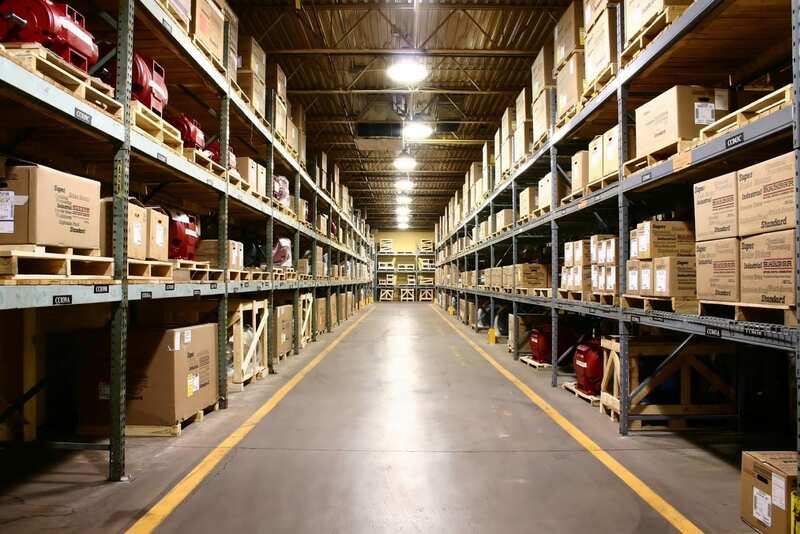 If your air compressor is stationary, storage isn’t something you have to worry about. However, many air compressors are portable. Improper storage can lead to rust and other forms of damage that can eventually limit the performance of your air compressor. Here are some storage tips for keeping your air compressor in great condition. When storing your air compressor, it’s important to carefully plan how you will go about it. One of the most common storage concerns is whether or not your tools will rust. You must find a clean, dry place to put your compressor. For example, you should not store your compressor in a storage shed unless it is sufficiently insulated from the outdoor elements. In order to protect the compressor from moisture, it’s also important to get it off of the floor. You must find a location where the compressor will fit and use storage space efficiently. Oftentimes, placing items on the floor uses up more space than stacking items and using shelving. Consider how you will move your compressor in order to access and use it. Will you need a cart? If so, make sure there is enough space for the cart to fit through the aisles. Keep in mind that it can be inconvenient to move an air compressor up and down the stairs into a basement. Also, basements are not recommended for air compressor storage because the compressor could be damaged during a flood. It’s important to control the amount of dust in the area where you store your air compressor. Dust can foul a motor and will also stick to lubricants. Air filters and ventilation that control for dust can protect the compressor. The compressor should be dusted and cleaned before placing it in storage. A well-ventilated storage area is also important because it protects the compressor’s battery from excessive heat. The ideal temperature for a battery is 59 degrees Fahrenheit. The battery should not be stored in freezing temperatures or in temperatures that exceed 100 degrees Fahrenheit. It’s best to remove the battery before storing the compressor. By removing the batteries, they can easily be placed in the optimal storage location. Also, the batteries should ideally be kept at a 40 percent charge while in storage. If the compressor does not use a battery, this isn’t a concern. Your compressor should be stored in a dry area. Storing the compressor outdoors is not recommended because the outdoor elements will subject the compressor to moisture and sunlight. The compressor should never be left plugged into the wall when placed in storage. As you prepare the compressor for storage, reduce the pressure with the regulator knob until it reaches zero. Then, remove any tools that are attached to the air compressor. If there are any hoses meant to elongate the valve, remove these as well. When it’s time to put your air compressor in storage for a long time, it’s a great opportunity to have your compressor inspected by professionals. You may notice that your compressor is not operating as efficiently as it should be. Or it’s failing to deliver the pressure you need, especially if you’re using it on larger tools. Evaluating your needs and having the compressor inspected before storing it will ensure that it’s ready to go the moment you pull it out of storage. The professional team at Compressor-Pump & Service, Inc. can inspect and repair your current air compressor to ensure it’s in peak condition.